Miss Congo is now Miss Africa 2018 after the beauty contest held last evening in Calabar, Nigeria. Shortly after she was declared a winner, her wig went up on fire while on stage. Miss Congo, Dorcas Kasinde, who is 24 years old emerged the winner after beating all the other contestants during the pageant. 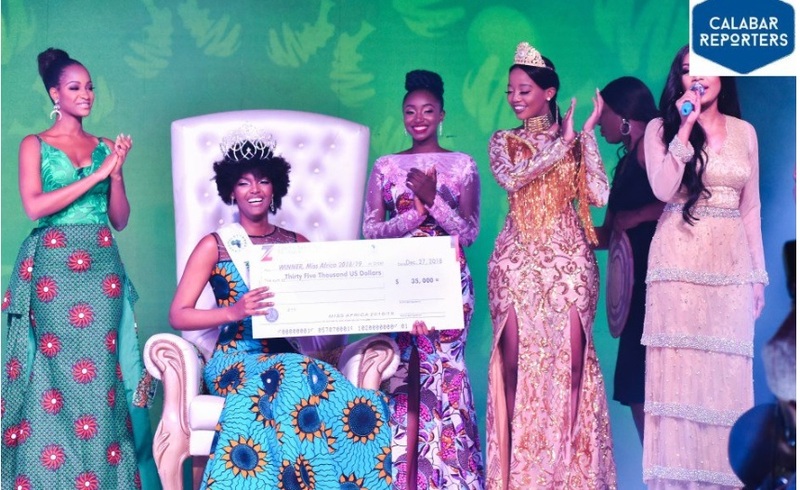 The second position was taken by Miss Nigeria (Chiamaka Nnaemeka) and third position was grabbed by Miss Zambia (Gladys Kayumba). While Miss Congo was celebrating her victory by hugging her predecessor, her wig was caught on fire. Social media users are now joking pointing an accusing fingers on the witches in Calabar for the unfortunate event. However, it is believed that the flame was caused by various stage flames located at the corners on the stage. 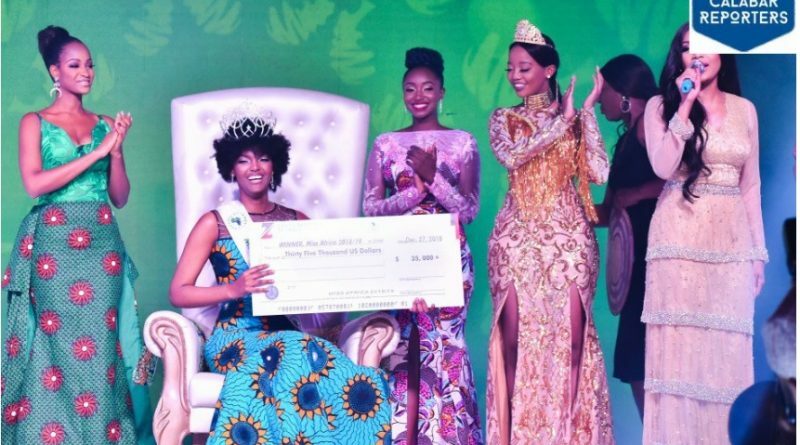 The winner, Miss Congo, was awarded $35,000 plus a SUV.